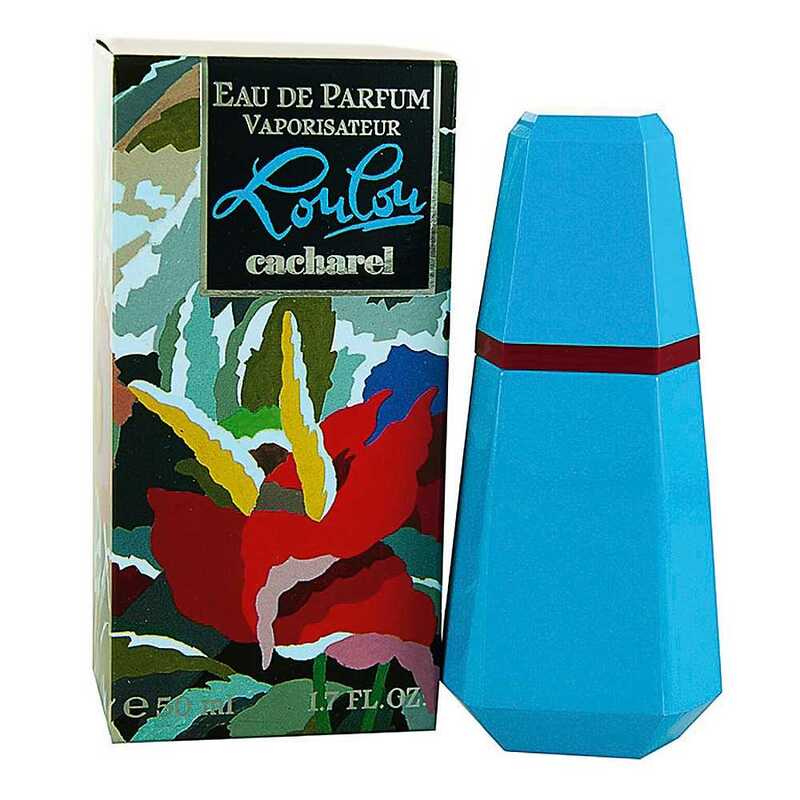 But even if I never wore Loulou, I always remember its tacky-fab blue genie bottle with the dark red stopper. And the TV commercial made an impact, too, with the perky-yet-mysterious young woman dashing from what looks to be a T'Pau video shoot to seek refuge in her dressing room, while keening cries of "Where's Loulou?" echo through the studio. "Oui...c'est moi!" she responds, with coquettish urgency. Smelling it now, it's such giddy, frivolous fun -- a Dum Dums lollypop Mystery Flavor grab bag of oriental overstimulation: jasmine and sandalwood and vanilla in a dust cloud of sugared incense. It occurs to me that Daphne by Comme des Garçons just may be Loulou's bonkers daughter. I have a hard time imagining what I would have thought of it back in the 80s. I'd love to hear from any of you who wore and adored Loulou when you were younger. How did it make you feel? Was it your big night out perfume, or did you just frickin' Loulou-up the junior high hallways like a rebellious teenage maniac? LouLou sounds like quite a girl! I am wondering if I tested it would I be able to say, "Oui...c'est moi!". Somehow I think maybe not. But still from your wonderful review I certainly would love a whiff of LouLou. It's a tribute to Loulou that it still held the intrigue for you after all these years. It made Miss Mirabelle get out her beret. That brought back memories of being young and carefree and ready to go out at the drop of a hat. thank you Katie. I bet Miss Mirabelle is ready to go out at the drop of a...anything. I loved LouLou and wore it regularly back in the '80s. It was my training ground for Must de Cartier. I remember it as lush and loud and everyone wanted to know what it was. My co-worker loved it so much, she bought a bottle and together we created a LouLou cloud in the office. My one word memory would be "fun". I could not wear this today any more than I could wear the clothes or make up I wore back then. It's always fun to revisit fragrances though. Loved your review. Haha: "Loulou cloud"! "Lush and loud" sums Loulou up perfectly. What a coincidence, Hessa! Since you know Loulou so well, does the new bottle smell more or less the same to you? You're so right - if the reformulation ruins a perfume, it can also destroy the memory associated with it. Since your coming home for Christmas are we going to start to hear the theme song again in your reviews? I remember wearing it, as well as Anais Anais (what was it with these double french names?). They made me feel kind of boho-cool because I didn't know anyone else wearing them. They were more daytime fragrances for me. I think I was probably drowning myself in Georgio when I hit the clubs during that era. Thanks for the memory. I sometimes think my perfume addiction didn't hit until a few years ago, but then I remember how I was seeking out different fragrances, even as the most un-cool 20 year old on the planet. 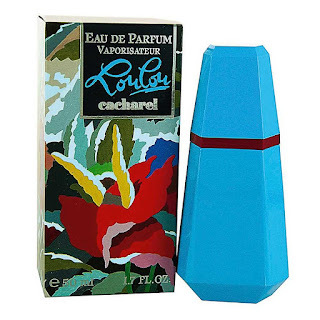 That's it, Loulou was the boho-cool perfume of the late 80s. And same as you, I was a teenager seeking out different fragrances, but the tools (niche perfume shops), technology (perfume blogs) and cash didn't exist to turn me into a full-time addict. In my book boho-cool perfume was Moschino (of course), and Romeo Gigli best worn with Gaultier fashion...I thought of LouLou-as great as it is-as a little bit girly. The shouty scottish singer; the Louise Brook's character's in Pandora's Box; and the girl from my village who would reportedly (and probably apocryphally) do it for a packet of fags- as it has such illustrious, homonymic company, I feel I really must get around to smelling Loulou, after all these years. Cynthia, since you mentioned Anais Anais which I also wore in the '80s, I wonder if LouLou is something I would enjoy. I will check it out and see if I can get my hands on a sample at Sephora. And I have to pick a bone with Katie - I recall the syrup and cube snack happening at a much earlier time - no boys involved. You were just bugging me so I offered you a snack. Something along the lines of the Crisco or cold hot dogs I also offered you. I did eventually improve my hosting abilities. My mom always wore this on sunday service in church when I was little (early 90's). I really love it, it smelly childhood and mum! Plus it's a really nice perfume, I could absolutely consider wearing it. Lou Lou was one of my three go-to fragrances in my early 20's. It was either LouLou, Anais Anais or Farouche on a regular basis, with Je Reviens thrown in for good measure. We lived in a very small town in West Virginia and I thought I was SO sophisticated and worldly cus absolutely everyone else was wearing Charlie or Lauren. Such a rebel, lol. I would love to smell any of those three again and see what memories they bring back and if I still love them. I do remember smelling Lauren on a glamorous teenage lesbian at the 9:30 club in DC and therefore it was boho-cool to my nose. Context is everything! So ridiculously cheerful and over-the-top! I wore tons when I was out dancing with my gay friends in Brisbane in the 80s (which was otherwise a dead zone)...It made me feel more bouncy and 'on'! Just revisited it last year and it's not an exact match to my memory (whatever is), but still hugely fun. "Bouncy and 'on'" = Loulou to a "T"! Either they changed the musks or you changed your brain. My best friend wore this in her teenage years. It still evokes a vivid memory of her. She used to bath in it. Which is something that I for some reason find a charming habit on the young adolescents and the elderly. Also the bottle reminds me of Joan Miro's work. Because of the blue and red colours. My high-school fragsrances were Anais and Lancaster eau de Concentree. The latter I still use often. Bathing in perfume is full-on decadent! I indulge from time to time. Ah! Paloma Picasso. So stern, so emphatic. Strange flacon. Nevertheless, good story. Would you consider this a gourmand? Not a gourmand. Dessert fumes didn't pop out of the oven until Angel in the 90s.